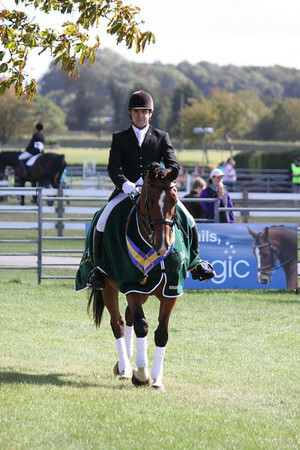 There are four national championships held each year – the novice and intermediate winter dressage championships (indoors), incorporating the medium winter dressage championships, the summer dressage and riding test championships and the dressage to music championships. If you are interested in taking part in any of these qualifiers, please complete the Team Application Form and contact Juliet. Winter dressage – this is for teams and individuals and takes place at several levels from prelim to medium. There are two qualifiers (novice and intermediate, with the medium incorporated into one of those) and two championships. Summer dressage – this is for teams and individuals. The novice team of four all ride prelim tests, whilst the open team consists of three members riding a novice test and one member riding an elementary test. There is also an individual medium competition. Riding test – this competition is held alongside the summer dressage and can be entered by teams or individuals. It is similar to a dressage test, but marks are allocated on the rider’s performance only, rather than the horse’s. Two riders in a team will ride the same novice test, and the other two will ride the same advanced test. Dressage to music – you need to be a Music Member of British Dressage to compete in these classes. More information about all the qualifiers and classes are available on the BRC website or in the BRC Rulebook.